Living with a damaged smile has a wide impact, from potentially jeopardizing oral health to negatively affecting self-esteem. But with modern cosmetic dentistry at Studio City Dental Group, we can your transform your smile to help you enjoy better wellbeing and renewed confidence. No matter what dental obstacles you’re facing -- including decayed, cracked, stained, or missing teeth -- we offer cosmetic and restorative solutions that can help. Cosmetic smile transformations at Studio City Dental Group aren’t one-size-fits all. For some patients, the application of two veneers may help them see the results they want. For others, the restoration of several teeth may be necessary. We work with you to provide the right treatment combinations to meet your needs. Composite Tooth Fillings - While metal amalgam can correct dental cavities, it leaves a black spot on teeth. We use white composite resin to fill teeth and preserve a natural aesthetic. Tooth-Colored Crowns – Our options for restoring decayed teeth with dental crowns include all-ceramic, zirconia, e.max®, or zirconia fused to porcelain. All of these materials are known for their ability to mimic real dental enamel while reinforcing the strength of teeth. Fixed Bridges - Our cosmetic dentists can fill gaps in your smile created by missing teeth with these multiple unit prosthetics. Our dental bridges can be made from the same durable materials as our crowns, allowing your smile to look flawlessly restored. Custom Teeth Whitening - When selecting teeth bleaching treatment at our Studio City cosmetic dental office, patients have options, including in-office whitening, touch-up kits, and at-home custom bleaching trays. Our home-use teeth bleaching systems are made just for you, so they fit comfortably and can whiten effectively. Patients who choose in-office whitening can enjoy a set of take-home trays from our office to maintain their results at home. Veneers – With porcelain veneers, we can give you a Hollywood smile -- one that’s bright white, balanced, and well-aligned. Through our minimal-prep veneer treatment, your natural tooth structure is preserved and your smile is transformed in just two dental visits. Porcelain and Zirconia Onlays - When decay has negatively affected teeth, onlays are a conservative treatment method that replaces decayed enamel with durable materials and preserves healthy tooth structure. We offer porcelain and zirconia onlays for their beauty and durability. Our dentists take time to discuss options with patients. We partner with you to make you right treatment decisions based on your goals. Studio City Dental Group’s cosmetic dentists are happy to work with patients in the entertainment industry who need their smiles to be flawless for headshots or other media presentations. While many of our cosmetic treatments are intended to restore the healthy and white appearance of existing teeth, cosmetic restorative dentistry at Studio City Dental Group can also help you replace teeth lost due to accident, injury, or decay. Our options for teeth replacement include natural-looking full dentures and partials as well as life-like restorations for dental implants. Whether you’re missing just one tooth in your smile, or all of your natural teeth, our specialists and cosmetic dentists are able to present multiple options for restoring your beautiful smile, and keep all comprehensive dental work in one location. Creating beautiful smiles depends on proper treatment planning and precise shade-matching for any crowns, veneers, and bridges. Our Studio City cosmetic dentists are dedicated to providing natural results with the help of our in-house ceramist. With a knowledgeable technician at our office, we can fabricate all porcelain work in one location and ensure perfect color matching. Our in-house dental lab also supports same-day denture repair. 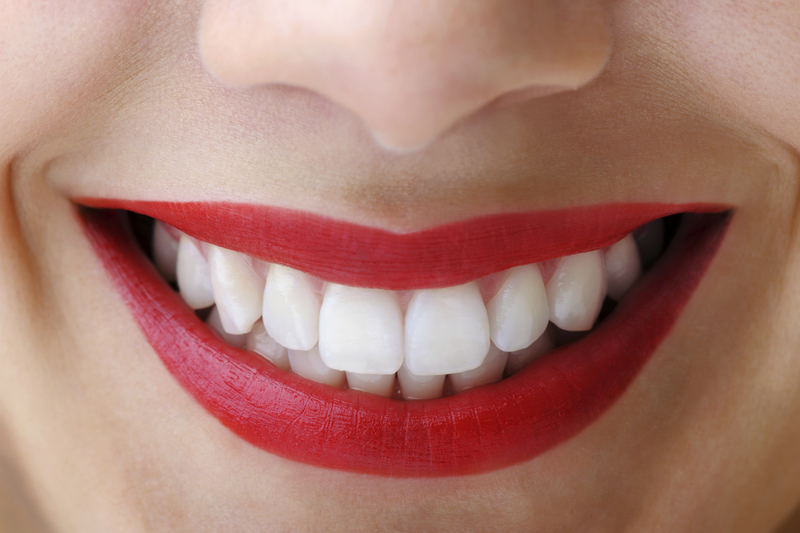 Our cosmetic dental work is efficient and precise, so you get the smile you’ve always wanted. Learn more about the North Hollywood dental services offered at Studio City Dental Group by scheduling your consultation today. Our team of specialists looks forward to giving you the smile you deserve!